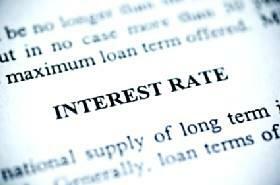 Interest rates can change quickly. How are mortgage rates determined? While some mortgage lenders offer one interest rate to all approved borrowers, most lenders offer interest rates that are specific to the creditworthiness of the borrowers. Local and national interest rates offered by other lenders: Mortgage lenders want to offer interest rates that are attractive to borrowers when compared to comparable lenders. The target market of the lender: A mortgage lender offering highly competitive loans for people with excellent credit ratings will probably not offer the same interest rates as a mortgage lender who specializes in subprime lending for people with bad credit. The index used by the lender as a benchmark for interest rates: Mortgage lenders base their interest rates on an index - for example, the LIBOR or the U.S. Prime Rate - and usually follow the fluctuations of these indexes with their own interest rates. In some instances, the lender always offers a rate that is a particular index plus a margin, such as Prime plus one percent, or LIBOR plus two percent. The portfolio of the lender: Lenders are constantly reviewing their lending portfolio and making adjustments accordingly. If a lender wants to bring in more mortgage loans to round out its portfolio, the company may temporarily lower the mortgage loan interest rates to attract more applications. Conversely, a lender who needs to reduce the number of loans - such as a lender who wants to cut the percentage of investment mortgages within the company's portfolio - will raise the interest rate on the product to a point to where it becomes less attractive to potential borrowers. Mortgage representatives at financial institutions are not usually privy to the process behind actually setting the mortgage interest rates by the people within the organization responsible for determining the interest rates of the day. For this reason, asking a mortgage representative at a financial institution to explain how are mortgage rates determined may not result in a definitive answer. Representatives can probably tell you what time of day they usually expect to see mortgage interest rates but not the process behind the decision to raise or lower the interest rates. Some mortgage lenders base the interest rate offered on the creditworthiness of the borrower. These lenders usually have a range of interest rates they are willing to offer and where the borrower lands on the creditworthiness scale determines what interest rate the borrower is offered. Every mortgage lender has different lending standards, especially when a subprime lender is compared to a prime lender. For example, while a subprime lender may be willing to lend funds for a mortgage to a borrower who has a low credit score (at a very high interest rate) a prime lender will simply deny the application instead of offering a higher interest rate. Not all mortgage lenders offer varying interest rates; some lender have one mortgage interest rate that is offered to all approved applicants regardless of credit scores and other factors. In other words, if the applicant fits into the minimum creditworthiness scale, the applicant is offered the same interest rate as all the other approved borrowers. How Are Mortgage Rates Determined by Authorities? Since mortgage lenders usually look to indexes to set interest rates for their loan products, a good question is "How are mortgage rates determined by the authorities?" The answer depends on the index. While the LIBOR is set by a collection of banks within the United Kingdom, the U.S. Prime Rate is determined by the Federal Reserve. To find out the current index rates, visit authoritative websites like The Wall Street Journal.